When I first graduated from college, there was a Chipotle within walking distance from my office, and a Chipotle within walking distance from my apartment. So yeah, you better believe I was a regular at Chipotle. Once I learned how to, you know, cook and create a budget, my frequency lessened a bit, but overall, I am a Chipotle fan 4 life. And come July 1, I will be signing up for the new Chipotle summer rewards program, Chiptopia. Pretty soon I will be a card-carrying member of the Chipotle fan club. Literally. There is a card involved. 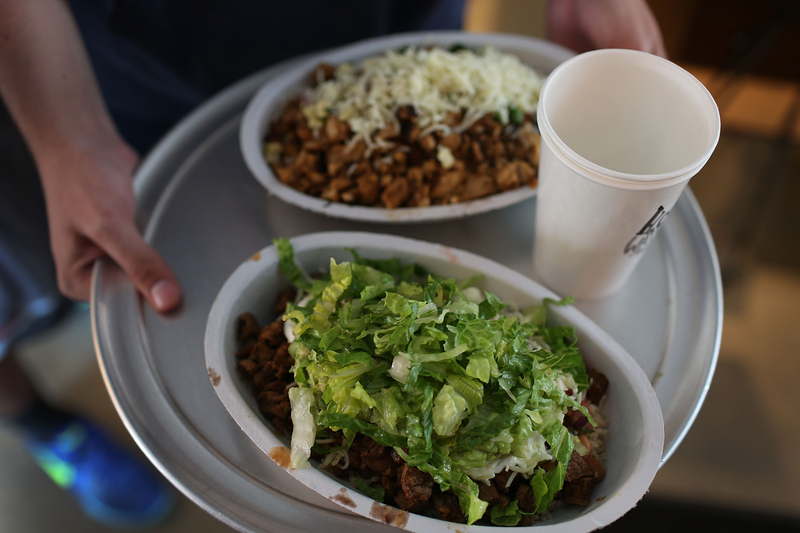 That's right — Chipotle is introducing a temporary, summer-only rewards program for its nearest and dearest customer. The rules are pretty simple. Go into a Chipotle (any of them, they're all participating), and sign up for a Chiptopia card for free. Receive a free bag of chips and guac for signing up (big yes). Then, start buying food. So how does the rewards program work? There are three Chiptopia tiers: Mild, Medium, and Hot. The first four entrees bought place you in the Mild category. The fifth one you get for free. The next four entrees bought place you in the Medium category, and the ninth one is free. That ninth one also boosts you into the Hot category. Buy two more entrees, and you've won the thing. For that month, anyway. Now, these numbers are reset to zero at the start of each month. Hit the Hot category all three months (as in, eat at Chipotle 11 times every month), and you'll win catering for 20, or a box of 20 burritos. As in, you will be KWEEN of the office/workplace/classroom/apartment/I don't know your life. Hit the Medium level all three months (eight meals per month), and you'll win $20 of Chipotle merchandise; a three-month Mild streak will earn you an additional free meal. Got it? Here are the stipulations. It's one entree per card per day, so you can't go in and buy the office lunch once a month. In addition, each entree has to be at least $6. It's a temporary rewards program, so this is not like an, "Eh, I'll see how I feel once it's not 90 degrees every day" kind of deal. It's a one-time thing, my sweet friends. And finally, your rewards expire after 30 days. OK now go eat a million pounds of guac! Happy summer!